Earn you 3989 reward points. 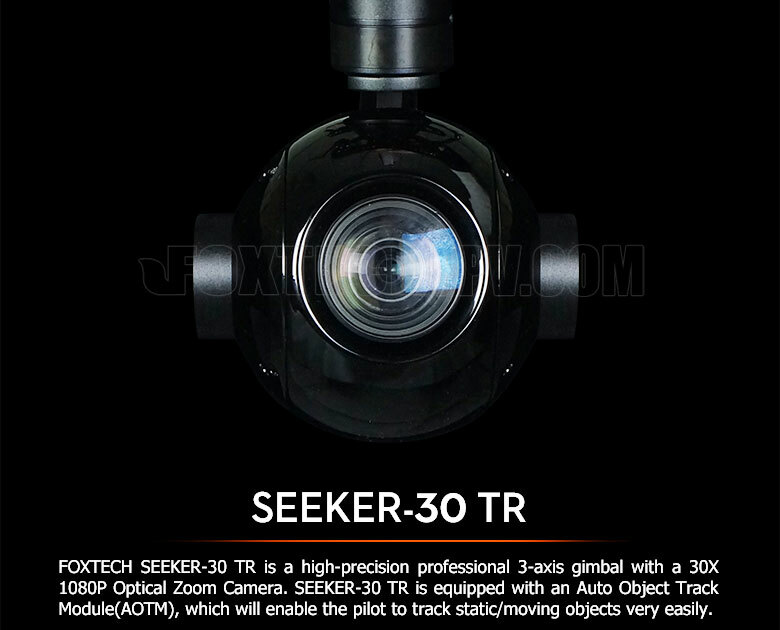 FOXTECH SEEKER-30 TR is a high-precision professional 3-axis gimbal with a 30X 1080P Optical Zoom Camera. SEEKER-30 TR features high stability, low consumption, small size and light weight. SEEKER-30 TR adopts Exmor R CMOS sensor, and the illumination is as low as 0.01 lux( colour). SEEKER-30 TR offers 1080p FULL HD video recording onboard and 1080p HDMI output for HD video transmission back to the ground. 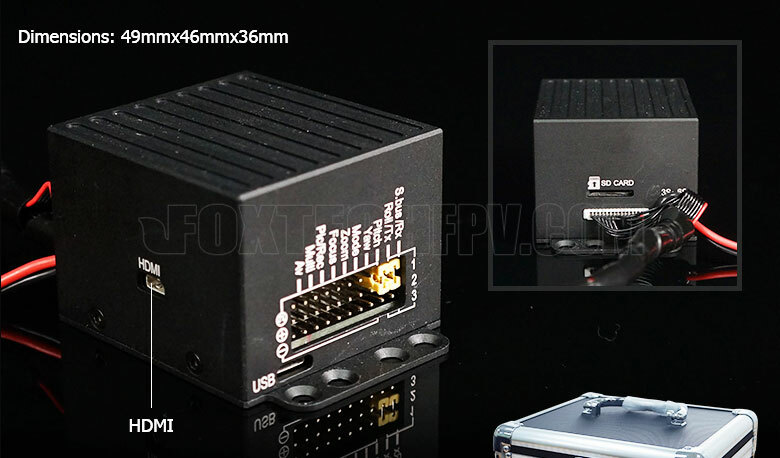 FOXTECH SEEKER-30 TR supports both PWM control and serial command control, suitable for close range remote control or remote data command control. 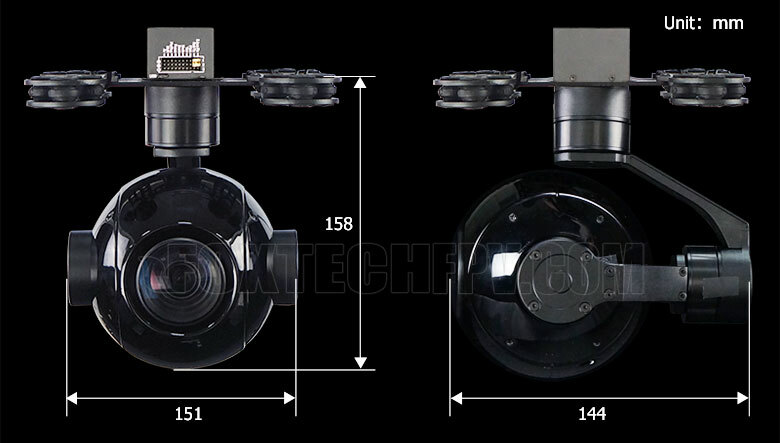 This 3-axis gimbal based on FOC motor control technology, adopts high-precision encoder in each motor. 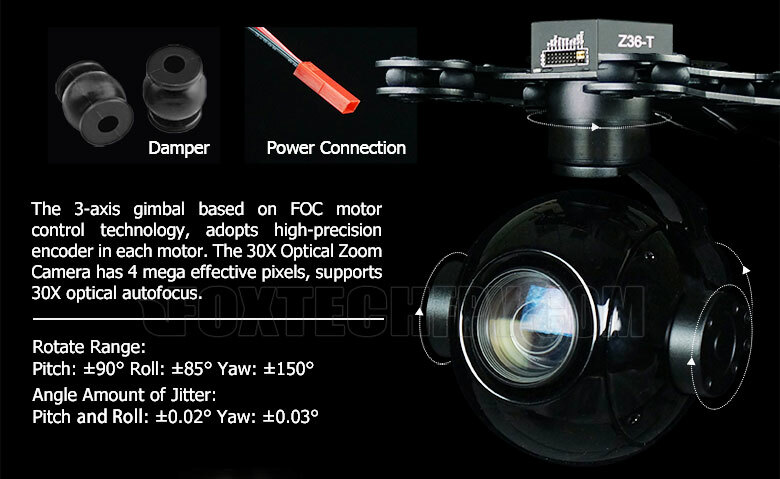 The speed of the gimbal is ajustable, low speed mode is used for large zoom range, fast speed mode is used for small zooming range. Also the one-key back to center function will allow the gimbal returning to initial position automatically and rapidly. SEEKER-30 TR is equipped with an Auto Object Track Module(AOTM), which will enable to track both static and moving objects very easily. Just put the object you want to track in the screen, move the cursor to the object and lock it via controller, and then the camera will track it automatically. Also gimbal Yaw/Pitch angle, height, time information will be displayed on camera OSD. 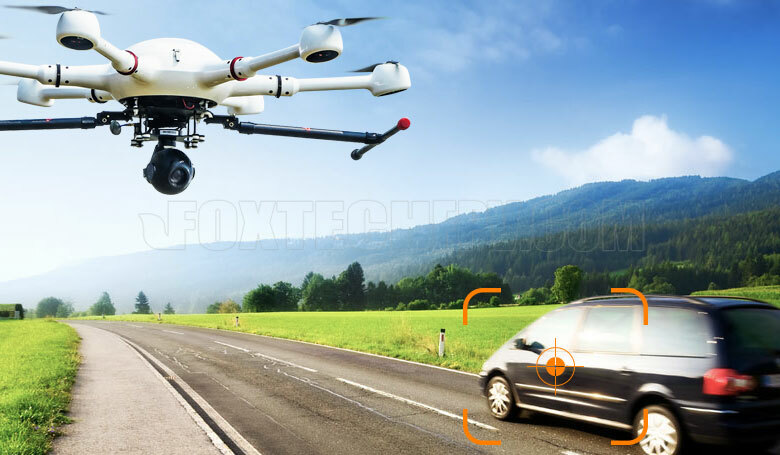 FOXTECH SEEKER-30 can be applied in many fields like military reconnaissance, police surveillance and evidence collection, disaster prevention and mitigation, emergency monitoring and rescue etc.